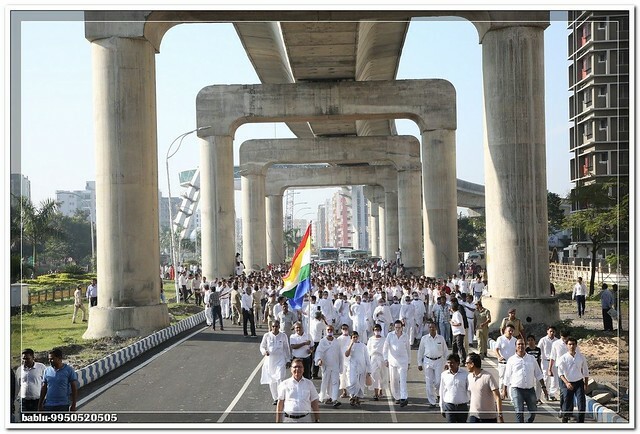 Ahimsa Yatra reached Sowcarpet, Chennai today. His Holiness Acharya Mahashraman preached in today's Prime Sermon that, today we have come at Terapanth Jain Vidyalaya (school) in the city area of Chennai. The rooms of this school may get fulfilled with light and fragrance. It is told that the worship of Paryushan is practiced here. That school is fortunate where worship of Paryushan gets practiced. Getting connected the name of Jain and Terapanth is very important matter for a school. Hey Prabhu yeh Terapanth! O Lord! This is your path. This is Lord Mahavir's path.